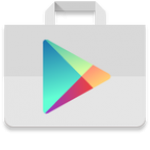 There's a new version of the Play Store rolling out, and that means you're probably obsessively hunting for the APK. Well, we've got that. More importantly we've taken a look inside the APK to see if there's anything of note. There are some minor layout alterations, but also some interesting clues inside. 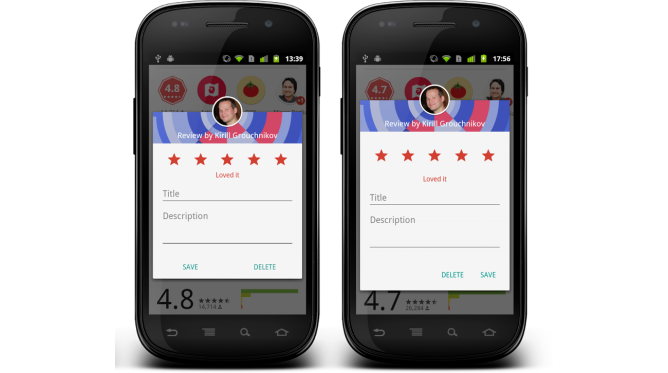 Googler Kirill Grouchnikov explained that this version of the Play Store finishes standardizing the alert dialog popups, like you might see when you leave reviews. I haven't noticed any dramatic changes, but apparently the above image demonstrates the tweaks. So that's cool. Poking around in the APK, we found a few strings that might be of interest. You might remember we saw hints in a Play Services teardown of specific Play accounts for kids that could be more locked down than a standard account. At the time we spotted things that pointed to time limits and restrictions on app usage. Now the above strings appear to show how download limits will be enforced. Searches could be filtered to only show appropriate material, and authentication might be required every time for in-app purchases in apps designed for kids. None of that will be exposed just yet, but you can download the new Play Store below all the same.